The fine Art Collection at City Center is a free opportunity to view some of the most impressive and spectacular art that Las Vegas has to offer. This is a collection of 20th and 21st century art by world renowned artists in a space that only adds to the experience. 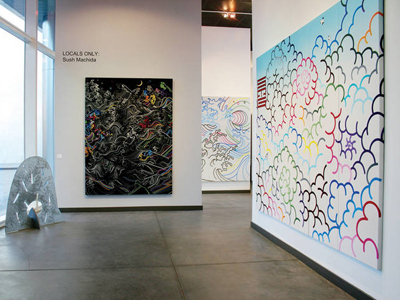 The Fine Art Collection at City Center holds the opportunity to see top artists and sculpture artists such as Maya Lin, Jenny Holzer, Nancy Rubins and Claes Oldenburg. See everything from large statues to touching paintings. There is an art form to please everyone in this large indoor and outdoor space. Just walking past the area will transform the walk into an experience that will wow your artistic sense. The space is beautiful and adds to the overall ambiance and feel of these spectacular contemporary works of art. Some of the art was specifically designed by the artist to fit the space, thereby enhancing the experience. If you thought Las Vegas was only about glitz, think again. The collection is housed throughout City Center in Aria, Vdara, Crystals and Mandarin Oriental. While strolling around the strip I stopped in here and was taken away by all the beautiful art. Its very modern and beautiful! Such a hidden gem for art lovers like myself.